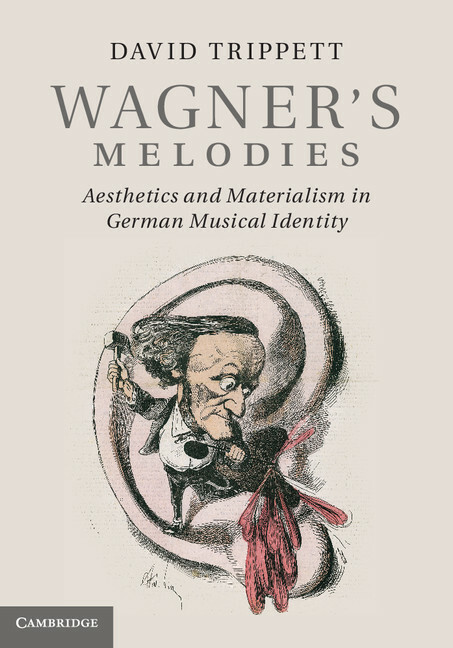 Following on from our overview of Wagner related publications due this year, we are attempting to provide a more detailed overview of each book. We will start with David Trippett's intriguing Wagner's Melodies. Note, due to a publishers misprint, we originally noted that this was to be available from May 31. It seems that should have read April. It is thus now available. Since the 1840s, critics have lambasted Wagner for lacking the ability to compose melody. But for him, melody was fundamental – 'music's only form'. This incongruity testifies to the surprising difficulties during the nineteenth century of conceptualizing melody. Despite its indispensable place in opera, contemporary theorists were unable even to agree on a definition for it. In Wagner's Melodies, David Trippett re-examines Wagner's central aesthetic claims, placing the composer's ideas about melody in the context of the scientific discourse of his age: from the emergence of the natural sciences and historical linguistics to sources about music's stimulation of the body and inventions for 'automatic' composition. Interweaving a rich variety of material from the history of science, music theory, music criticism, private correspondence and court reports, Trippett uncovers a new and controversial discourse that placed melody at the apex of artistic self-consciousness and generated problems of urgent dimensions for German music aesthetics. 4.Hearing voices: Wilhelmine SchröderSDevrient and the Lohengrin Recitatives. David Trippett is a University Lecturer in the Music Faculty, and a Junior Research Fellow at Christ’s College. He is interested in elisions between sound and writing, the ways in which different technologies have influenced the recording of history, and the concomitant tension between sound as a physical object and a carrier of aesthetic ideas. His primary research focuses on nineteenth-century intellectual history, Richard Wagner, and the intersection of German aesthetic thinking with the growth of the natural sciences. 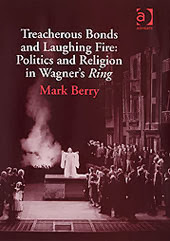 Other interests include Franz Liszt and post-Classical Weimar; relations between new media, historical media, and modernism; and performance theory, including the grey area between improvisation and composition, projections of identity in performance, and theories of musical reproduction after Walter Benjamin. For your interest; David, who has written a number of articles on Wagner, wrote part of the programme notes for the 2009 Bard Festival Wagner and his World entitled: “The Triumphant Revolutionary”. If you click below you can read this, plus the entire programme (made available by the Fisher Center) Or should you wish you may download the entire programme as a PDF. Highly recommended.